Having problems with the language you're learning? 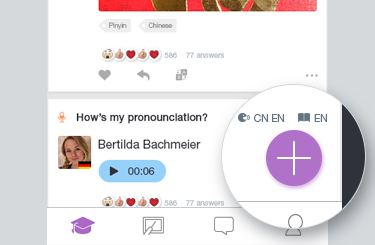 Just post your Question and get help from native and fluent speakers! 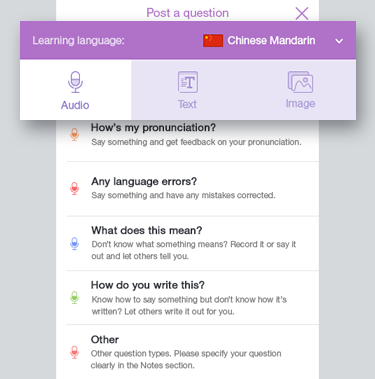 Select the language that you need help with for "Learning Language," then choose a question template from the three types of questions below. 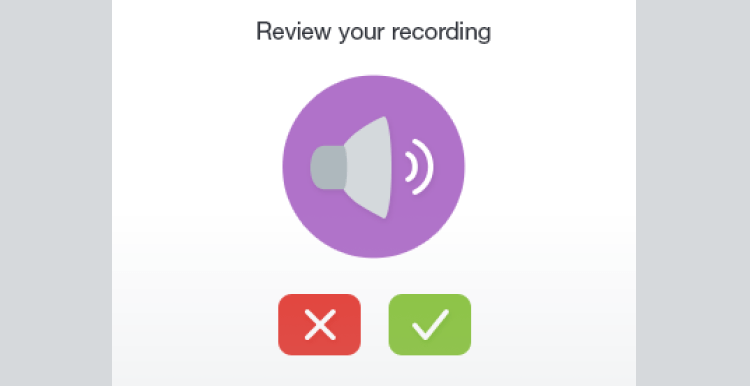 Record an audio clip and ask others to check your pronunciation, grammar, etc. 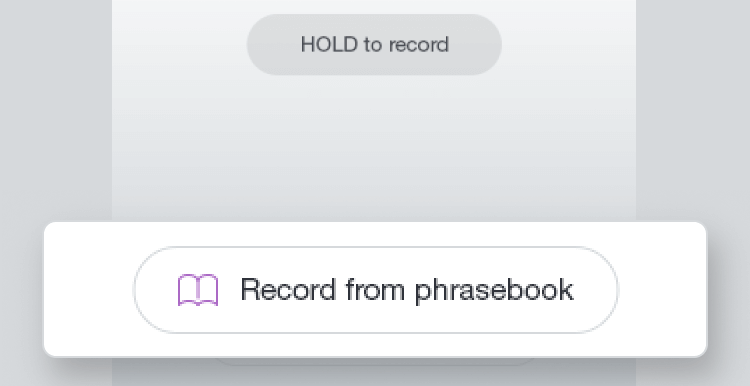 Type a word or a phrase and ask others to check what you wrote. Upload or take a picture and ask others to clarify what's in your picture. 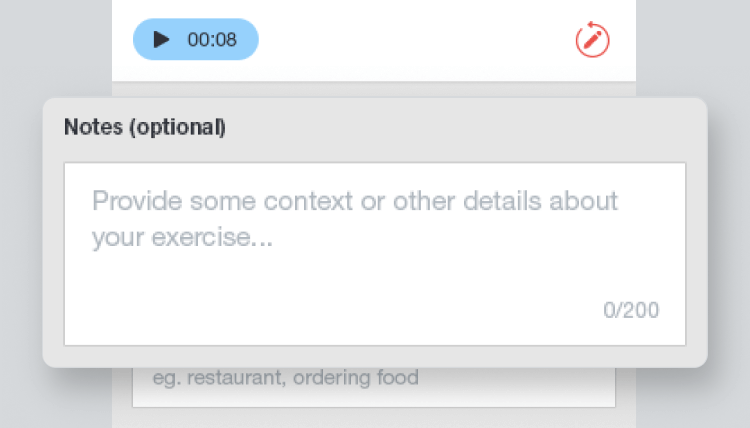 Choose a template from one of the question types, or just choose "Other" if you can't find a template that you want to use. 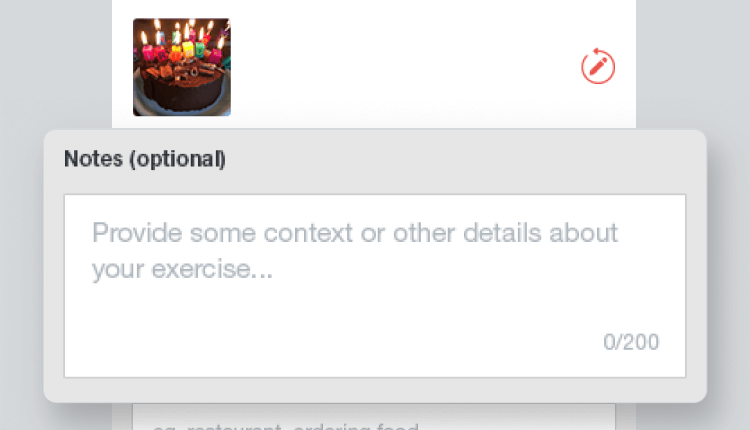 To add some details about your question, type it in the "Notes" box. 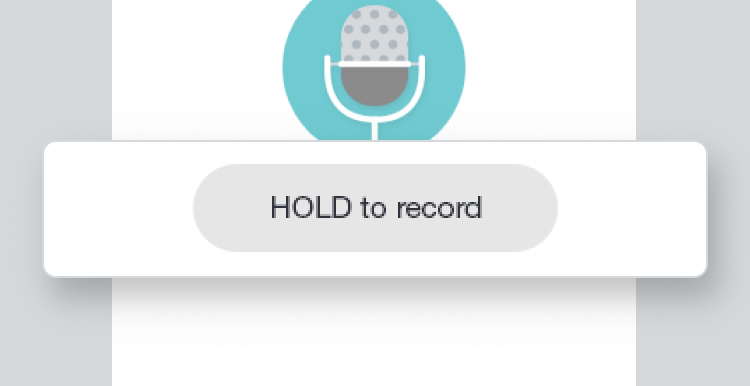 To further customize your question, tap "Advanced Options" then choose your settings. Once you're done, press "Post Question." Once you're done, press "Post Question. "Now that you've posted your question, just wait for someone to reply, or you can post another question. Now that you've posted your question, just wait for someone to reply. You can also post another question while waiting.